The following is a brief excerpt from Mike Breen’s latest book Multiplying Missional Leaders, which came out at the beginning of May 2012. Imagine that it’s a Tuesday morning, and that the staff of your church has gathered for its weekly staff meeting. Staff members discuss the weekend service and whether it delivered the message and experience they hoped it would. They discuss the attendance numbers; small group numbers and effectiveness; budget, buildings, and cash flow. You know, the normal staff- meeting routine. A stunned silence comes over the staff — after all, this is a strange situation. But soon enough, the staff members snap out of it. “Uhh, well, OK. Well, how many of you are there? Six? Well, let’s see. Could three of you be small group leaders? We’re looking to start some new small groups, and clearly you’d be great at that. Peter, James, Paul, could you do that? “Hmmm . . . you know, we lost the person who heads up our First Impressions team a month ago, and it has been a bit lackluster. It has lost the punch it used to have. You know it’s important that people have a strong impression of our church within the first 15 seconds when they come to the service. Priscilla, do you mind heading that up? This is called plug-and-play. This is about having various positions we need filled in the machine of our churches and plugging people into those roles. Now don’t get me wrong: there are always going to be logistical needs when the scattered church gathers. That’s reality, and we need to attend to that and do it well. But does anyone really think this is where a church should be using Peter, James, Paul, Priscilla, Timothy, and Lydia? Would this be the most effective use of their time and energy given the skill sets they have? Of course not. There’s a leadership myth out there that programs that need leaders create leaders in and of themselves. But this hypothetical example shows us how systems can fall short. Maybe we can think about it this way: If your church were suddenly given 250 missional leaders, would you have any idea what to do with them? Or would you just plug-and-play them in what you are currently doing? Mike Breen has been an innovator in leading missional churches throughout Europe and the United States for more than 25 years. In his time at St Thomas Sheffield in the UK, he created and pioneered Missional Communities, mid-sized groups of 20-50 people on mission together. The result, less than 6 years later, was the largest church in England, and ultimately, one of the largest and now fastest growing churches in the whole of Europe. 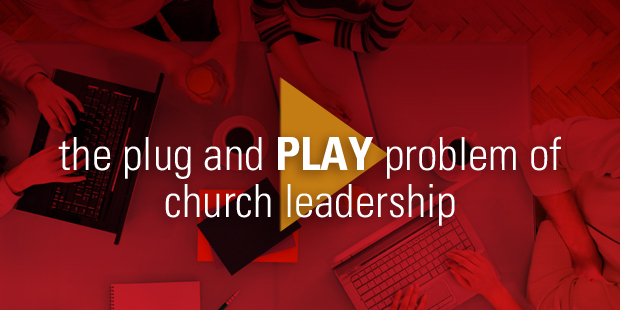 In 2006 Mike was approached by Leadership Network to lead an initiative into church planting. Through this partnership, more than 725 churches were planted in Europe in just three years. Today, Mike lives in South Carolina, leading 3DM, a movement/organization that is helping hundreds of established churches and church planters move into this discipling and missional way of being the church. Mike is the Senior Guardian of The Order of Mission (TOM) -a global covenant community of networked missional leaders. 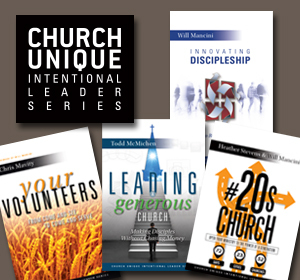 He has authored numerous books, including Launching Missional Communities, Building a Discipling Culture and Covenant and Kingdom. Mike has been married to Sally for over 30 years and they have 3 grown-up children. Mike’s passions include contemporary design and architecture, travel, movies, cycling, golf, fine wine and food…though not necessarily in that order.